Las Vegas has been known as Sin City since 1906, just a year after it was first settled. But the Las Vegas valley isn’t all devils-horns and debauchery. Drinking and gambling establishments might still outnumber churches by something like a three-to-one ratio, but there are still hundreds of houses of worship that call Sin City home. One of the largest is Central Church (centralonline.tv). 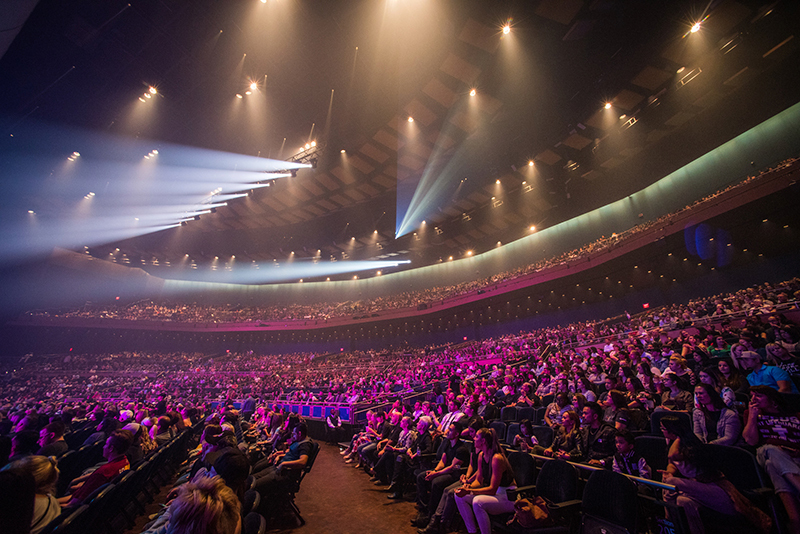 Led by senior pastor and author Jud Wilhite, the nondenominational church has its main campus in a 148,000-square-foot facility in Henderson, NV, with other church locations in Nevada, Florida, Mexico and Australia. The church also brings its main message — “It’s okay to not be okay” — to the internet (centralonline.tv) and, via a partnership with God Behind Bars, to help prisoners and their families with a message of healing and redemption. 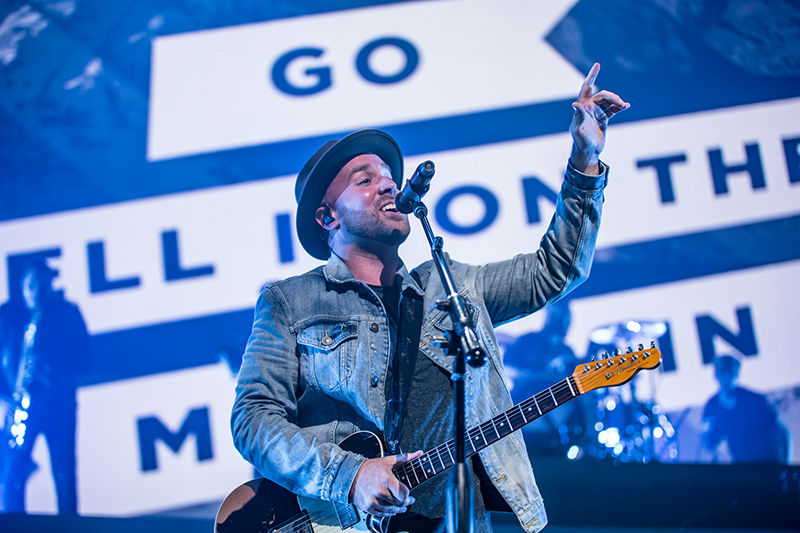 The church has long used music to attract and inspire its congregants, and its Central Live band, comprised of regular church attendees and led by Central Church lead pastor of worship Drew Bodine, has released albums starting with Love Can in 2014, Greater in 2017 and, most recently, Thrill of Hope, the band’s first full-length Christmas album. Popular singles such as “Rebel Heart” are also available via internet download. Bodine and the other band members — all Central Church attendees — teamed up with Christian rap artist G-Blest (a.k.a. 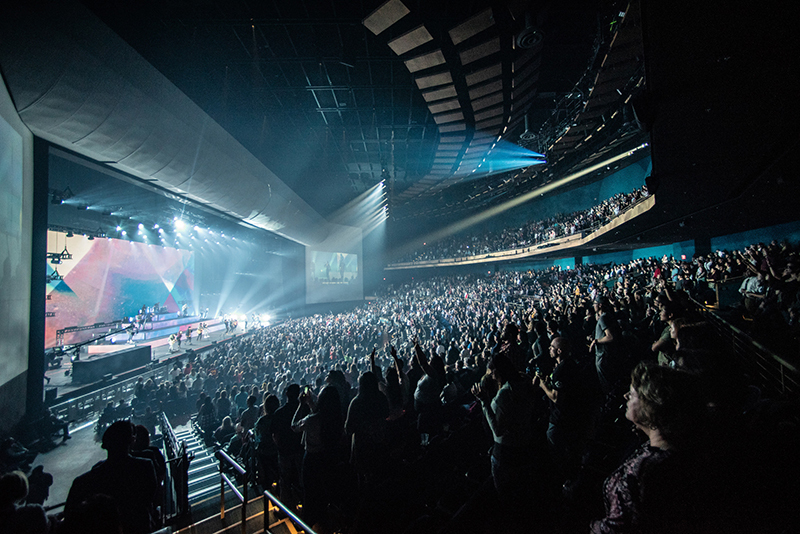 Gary Ward) for a sold-out concert and worship event staged Oct. 10 at the 5,500-capacity Park Theater on the Las Vegas Strip. 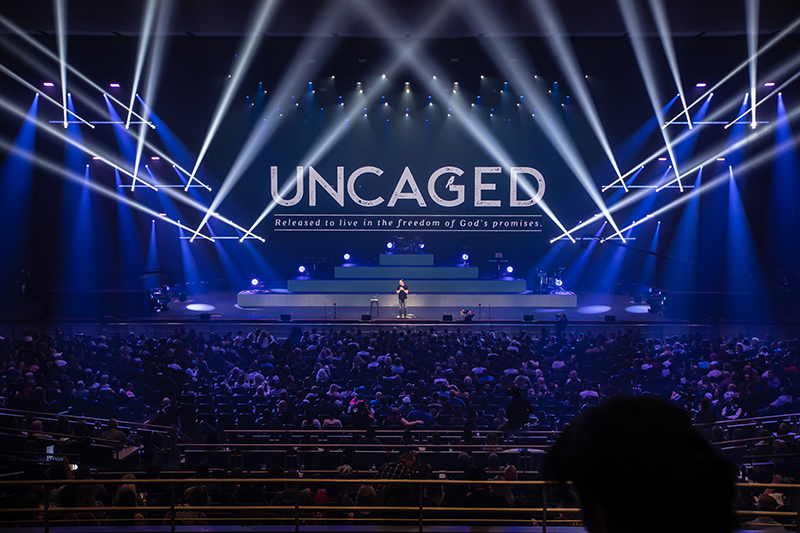 The concert and worship event, titled “Night of Worship 2018,” also served as the release party for senior pastor Jud Wilhite’s latest book, Uncaged, with just-printed copies available to attendees after the show. Pryotek provided a hellish touch with hot flame effects. 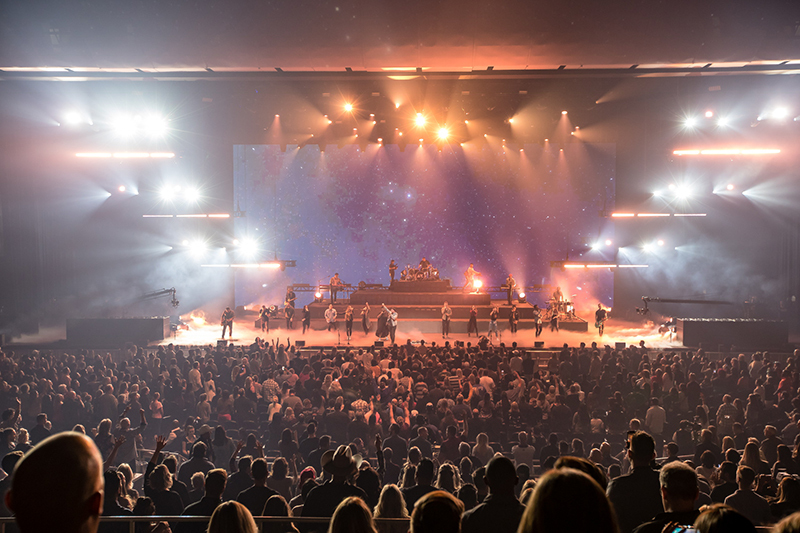 Along with the music, delivered via the venue’s sound system, with some extra subs for low-end impact, “Night of Worship 2018” was a visual spectacle with a full array of effects. 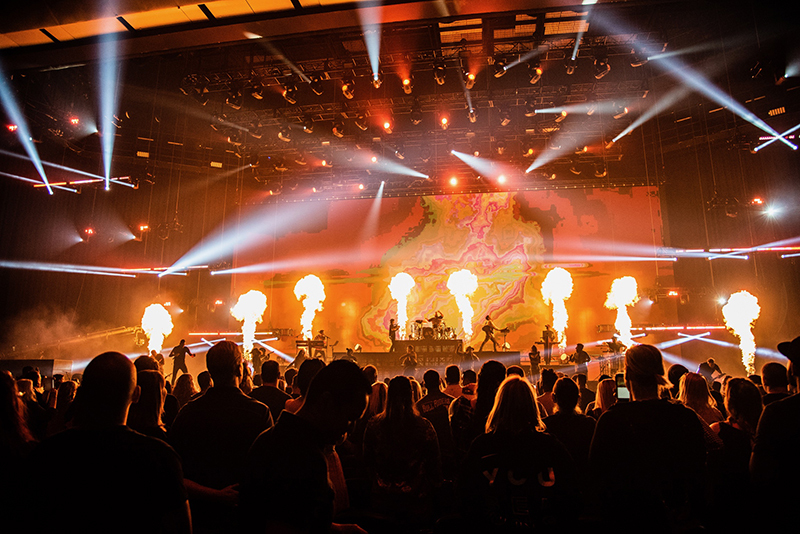 These included a heavenly fog beneath stars twinkling off to infinity on the venue’s expansive projection surfaces and LED screen, then transformed with hellish balls of fire and other flame and pyro effects erupting above the wide stage. 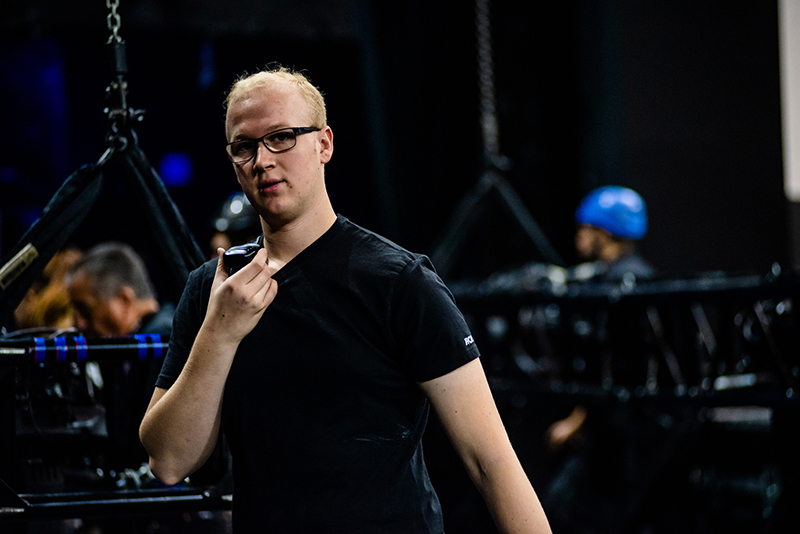 “It was a blast,” says Jacob VanVlymen, who wore multiple hats as the production designer, master electrician and looked after the media servers and LED content for the sold-out event. VanVlymen and Central Church LD Jack Dorward used lighting from 4Wall to complement the house rig within the venue, and Central Church also supplemented the house LED and projection systems, bringing in Absen C7 7.5mm video panels supplied by locally-based Walden Media Productions for the fascia on the 60-foot-wide multi-tier stage risers. These complemented the content sent to the venue’s 86-by-34-foot main LED wall and 8K projection system for the theater’s large projection surfaces on the wide-and-shallow-shaped venue’s proscenium frame and side walls. 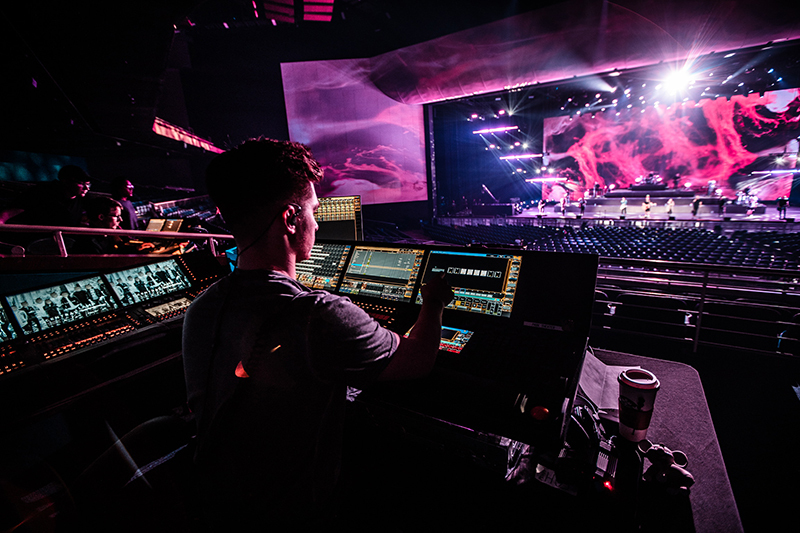 Along with VanVlymen and Dorward, other crew members for this one-off event included Adam Taylor, who served as production manager and FOH engineer; video director Ryan Fuller; L2 Kyle Shirley; assistant video director Matthew Pablico; and media server and LED tech Jimmy Marsh. They worked with the Park Theater staff including director of event production Steve Pelletier and resident LD Paul Fickett. Other production partners included Rhino Rigging, All Access Staging and Pyrotek Special Effects. For the Park Theater event, the design team kept with a simple-and-symmetric (yet massive) staging design featured four tiers of LED-wrapped risers, with the main drum kit perched eight feet above the deck of the trapezoid-shaped, 85-foot-wide stage, and bassist, keyboard players, another drummer and guitarist positioned (along with lighting and pyro elements) on the lower levels of the structure. At stage level, two more guitarists flanked nine or 10 vocalists — all church attendees — with the spotlight trained on others during the show, including G-Blest and a saxophone player. Dorward wasn’t only concerned with lighting the large number of performers on stage, however. Crowd lighting was a key priority — not just as a way to engage the audience, but because “we were recording the whole night. 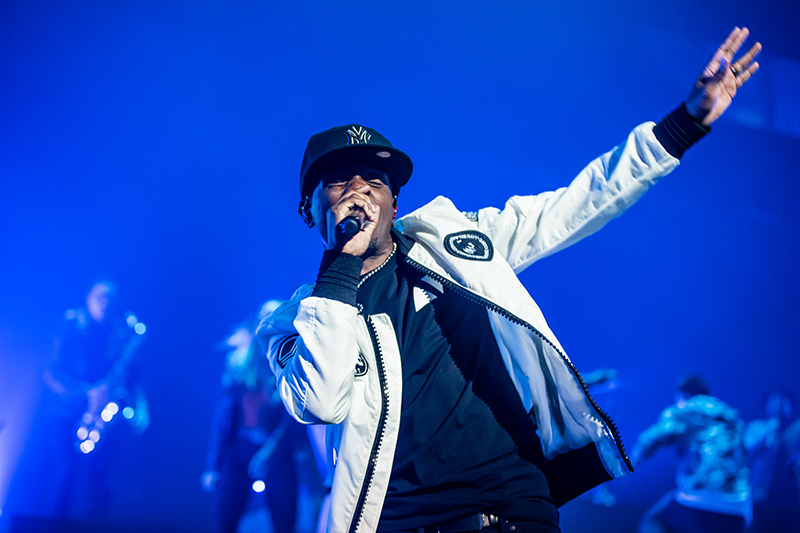 Without any light on the crowd, it looks black out there.” He was able to use the house rigs’ overhead Vari-Lite VL3500 spots and washes for stage lighting and for the portion of the audience closest to the stage. To add impact to the show, and also provide additional audience lighting on the balconies and sides of the venue, Dorward came up with the idea of a series of truss sections that ascended from trim heights of 10, 15, 20, 25, 30 and 35 feet from the upstage area toward the stage lip. These symmetrically rising horizontal truss sections were rigged with Robe BMFL Blades, Elation Platinum Beam 5R Extremes, GLP JDC1 fixtures and bars of Chroma-Q Color Force II’s (in 48- and 72-inch lengths), all supplied by 4Wall, which has been providing lighting rentals to Central Church for nearly a decade. 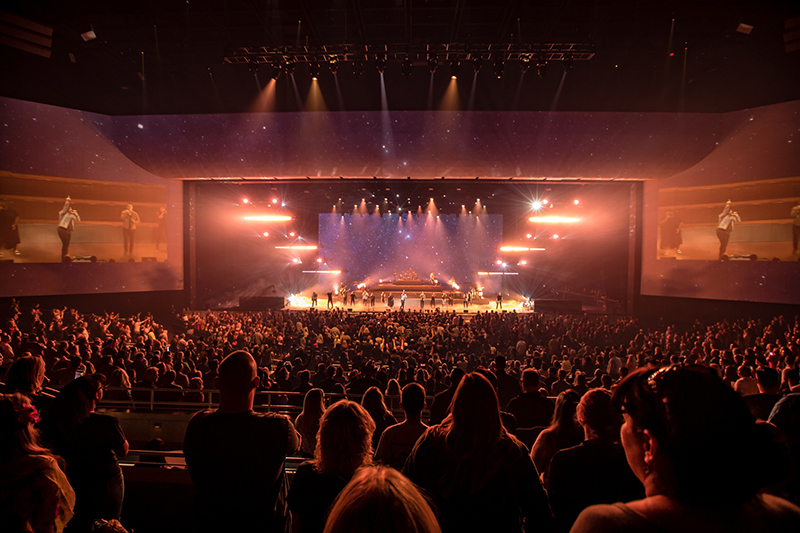 “The Platinum Beams, JDC1’s, BMFLs and Color Force were all super-impactful,” Dorward says, crediting the fixtures for speedy movement, eye candy and intense punches of light. 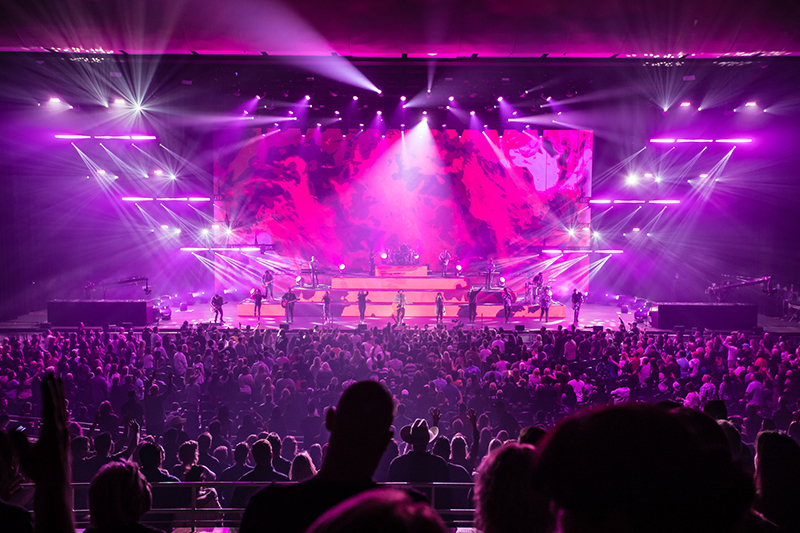 An array of eight 4Wall-supplied Martin MAC Quantum Wash fixtures were also positioned on stage, flanked by more floor-mounted Vari-Lite VL3500 Washes and Spots in the venue’s house arsenal. The special effects package from Pyrotek, overseen by project manager Elise Luquette, included flames, comets, gerb waterfalls, hotbursts, concussions and confetti at strategic moments during “Sky on Fire,” “Start Up the Party,” “Greater” and “Alive Again.” Assisting Luquette with the seven positions on the deck set up for manual fire were technical manager Brian Panther, who programmed the pyro, along with licensed pyrotechnician Rey Mangubat, who served as the event’s shooter, with an assist from Arthur Khoeyetsian. VanVlymen used drafting tools Vectorworks and Lightwright to ensure that all the lighting and staging elements were where they needed to be, and stage manager Tyra Byrd and service director Chloe Sagum also helped make sure performers kept a safe distance from Pyrotek’s dramatic pyro effects. Along with Pyrotek’s comets, gerb waterfall effects, concussion and airburst effects, the stage erupted with dramatic fireballs and shooting flames during key moments, which all got the official thumbs-up from a fire marshal. 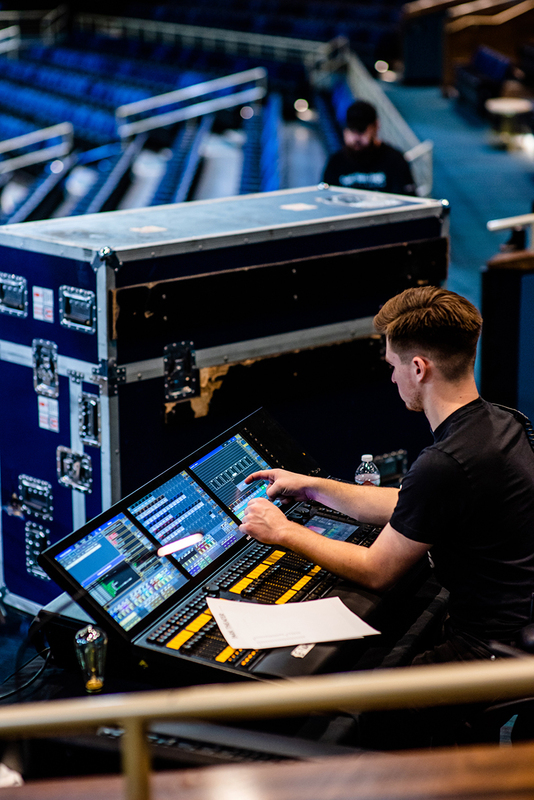 On site, VanVlymen and Dorward managed the LED content and lighting cues with a control setup that included two grandMA2 Full consoles, a grandMA2 Light, a grandMA2 OnPC and three disguise/d3 media servers. As a whole, production design was elaborate enough to rival any of the other spectacles taking place at the artist residencies and touring productions filling the vast showrooms and arenas up and down the Las Vegas Strip. But Central Church is already known for the spectacles packing its main location’s auditorium for Christmas, Easter and weekly services. The Park Theater, which opened in late 2016 at the Park MGM Casino on the Strip (formerly the Monte Carlo), is an impressive venue, with a stage bigger than Radio City Music Hall but with a wider, shallower seating plan designed to bring audience members closer to the performers on stage. 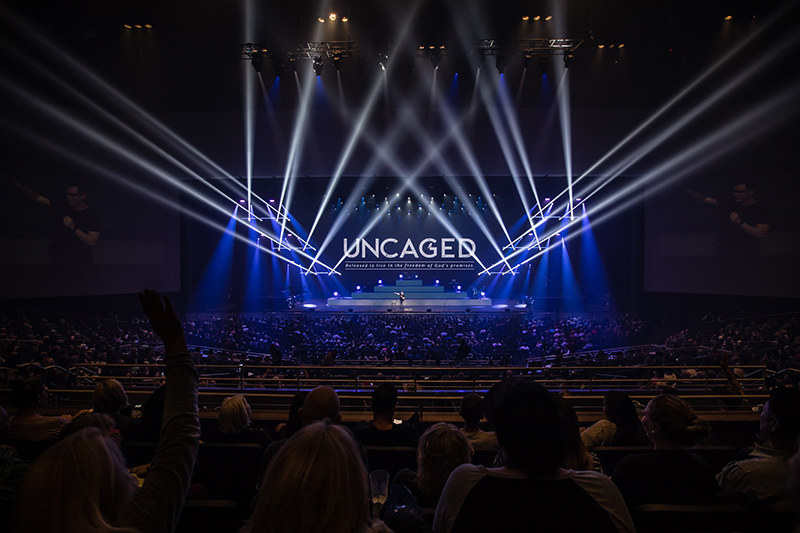 But the question remains: Why would a megachurch stage a concert/book release celebration at an outside venue when, at the church’s main campus in Henderson, there is a production-friendly auditorium that can accommodate an audience of 4,700? “The main reason for having the event down on the Strip rather than at the church was to give people who already attended the church the opportunity to invite their friends who weren’t really comfortable with church, or who had bad experiences at a church. So it would be easier for them to invite them to a concert on the strip, and then give them the message there, where they’re more comfortable,” Dorward says. 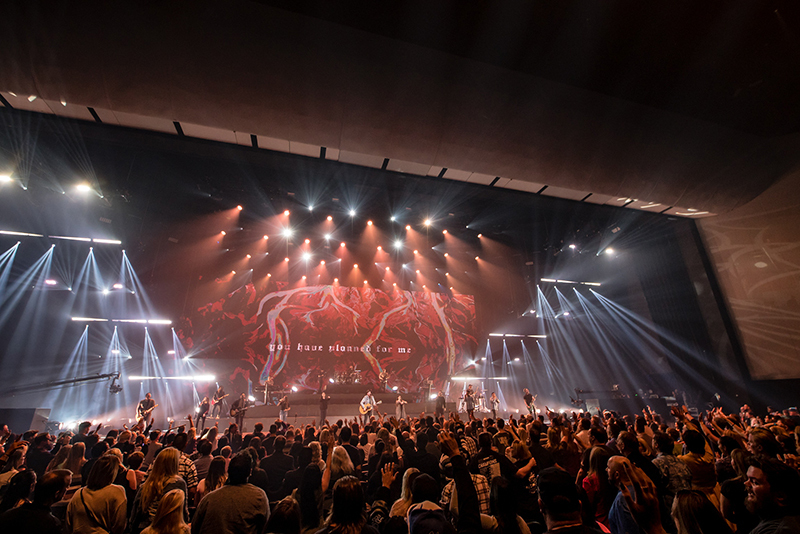 The church encouraged its members to “buy a ticket for you — and a friend you want to invite,” Dorward says, adding that it was fun and interesting for both church members and crew to see “the big Central Live graphic on the Park Venue next to Queen and Aerosmith, and stuff like that. Just to be on the same stage that those bands play on — it was pretty crazy. The nearly 5,500 tickets that were sold, moreover, was just one measure of the event’s success — and not necessarily the most important stat, in terms of the church’s overall mission to change lives at a deeper level. “By the end of the night, we had 115 Decisions for Christ, which is huge for the kingdom,” VanVlymen says. “Seeing lives changed — it was an honor to be a part of that,” he adds.